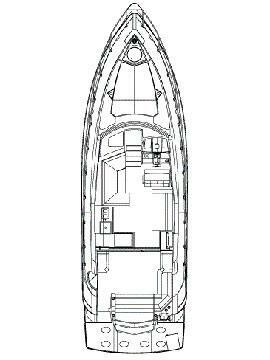 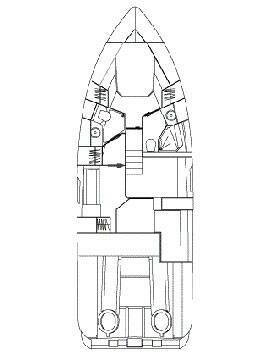 Revolutionary design featuring a single level cockpit, galley aft, dinette and helm. 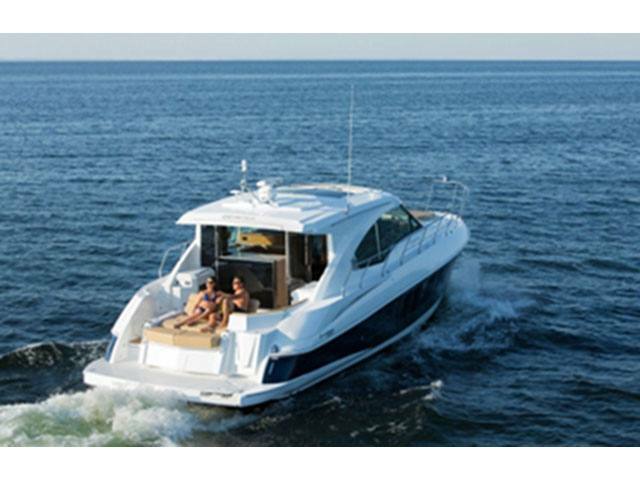 Opens from a quiet AC indoors to fully open to the outdoors in 5 seconds for maximum entertainment. 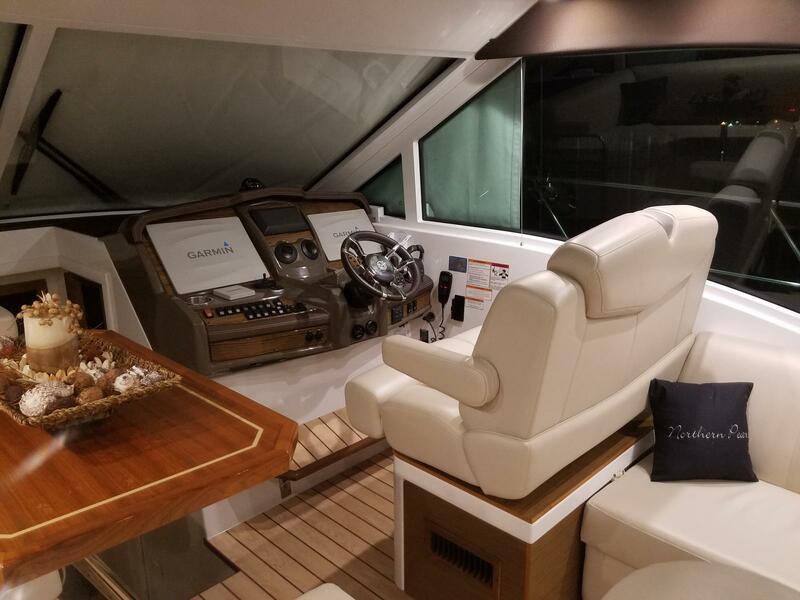 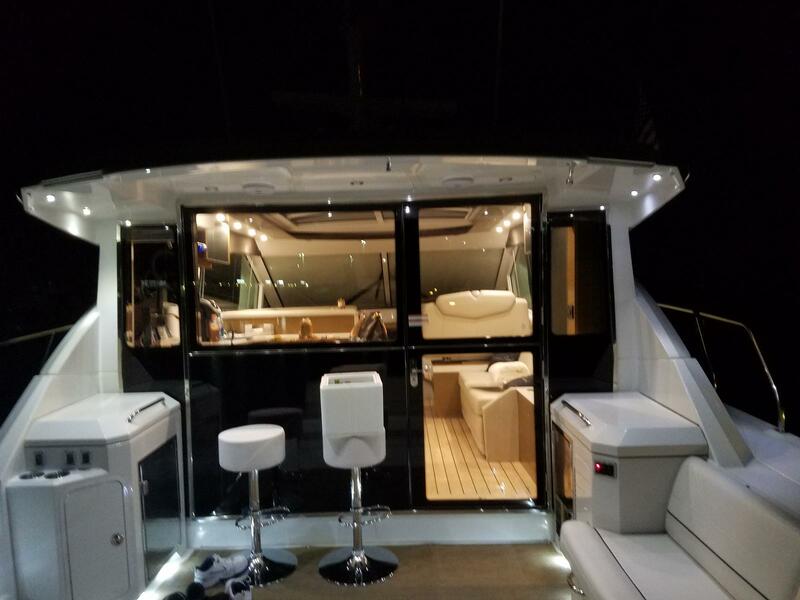 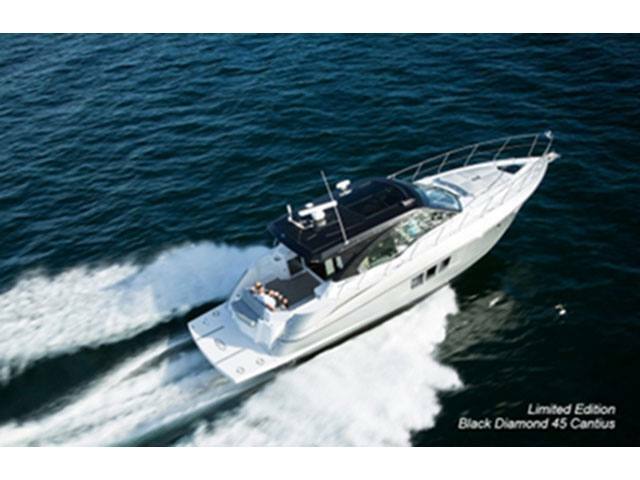 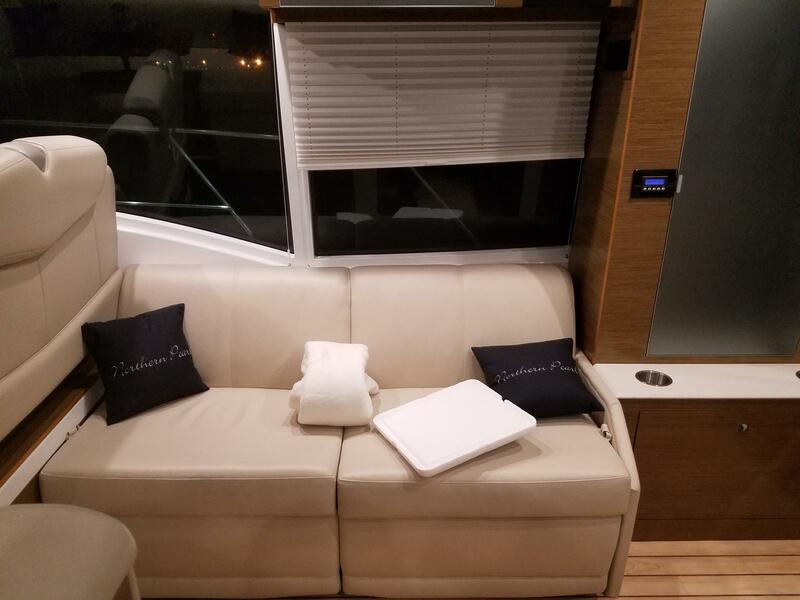 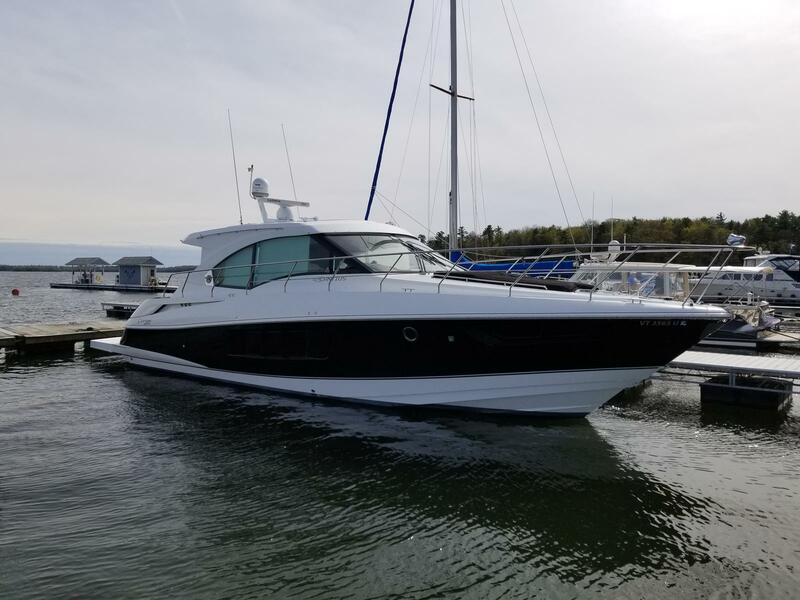 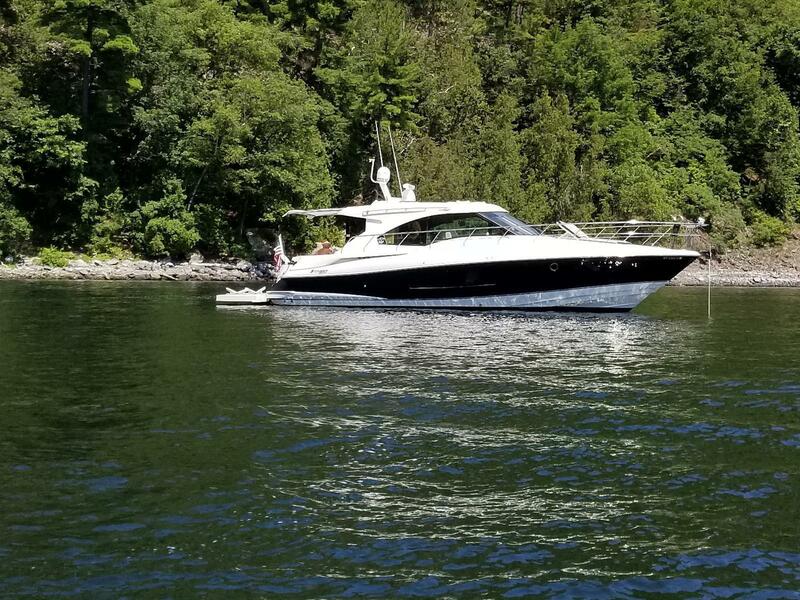 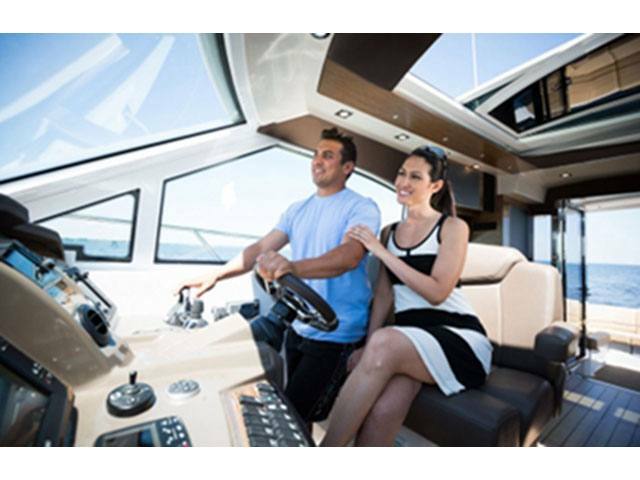 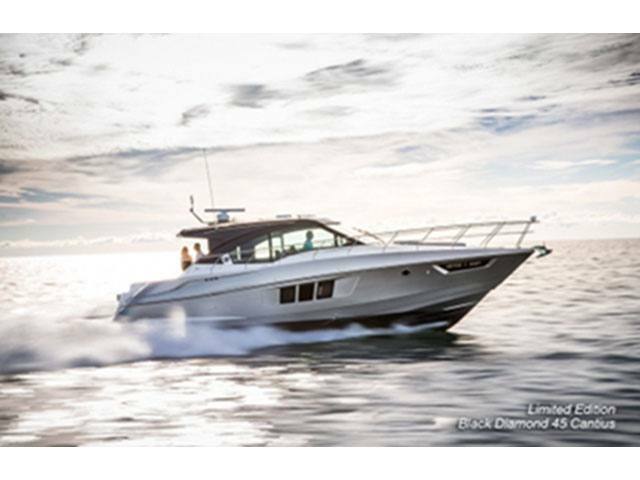 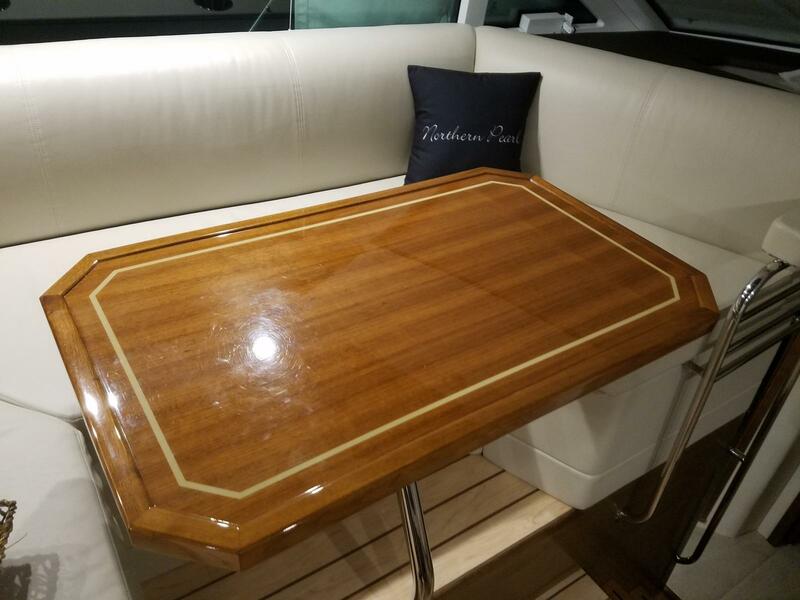 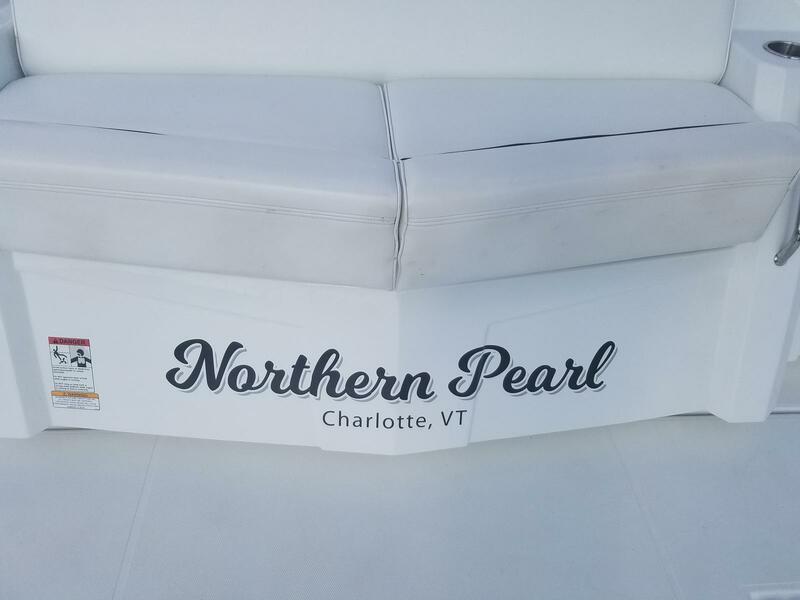 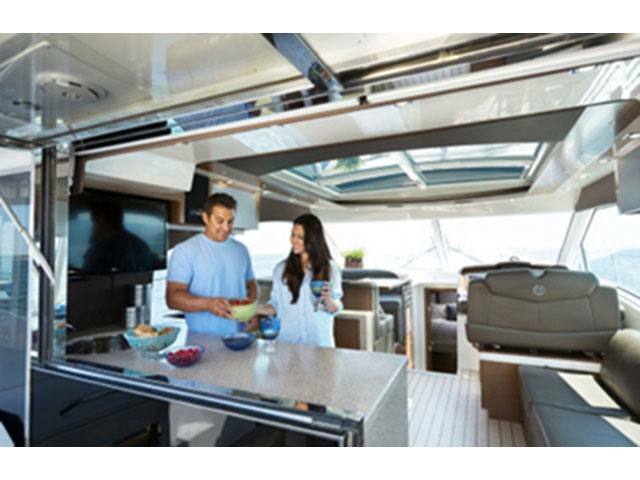 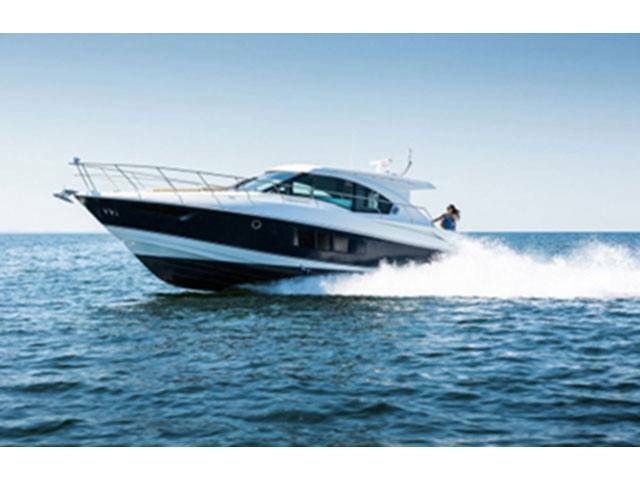 Fully equipped with options including state-of-the-art Garmin Electronics , Satellite TV and Weather, Hydraulic Swim Platform, Power Sunshade, Large Power Moonroof. 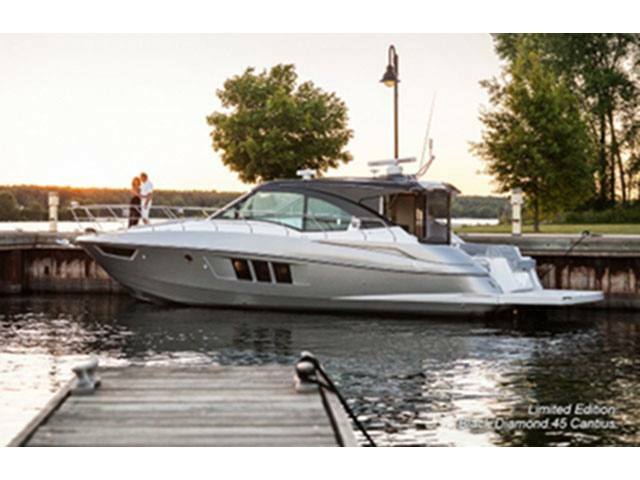 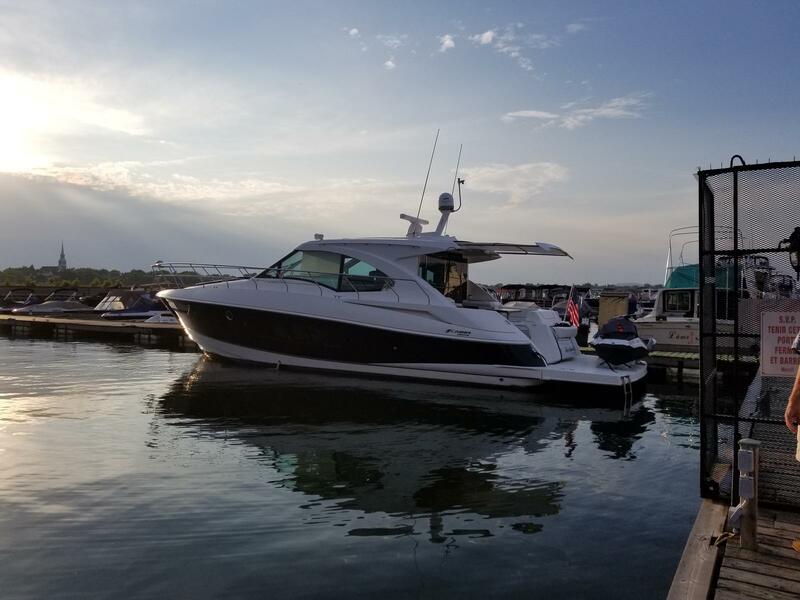 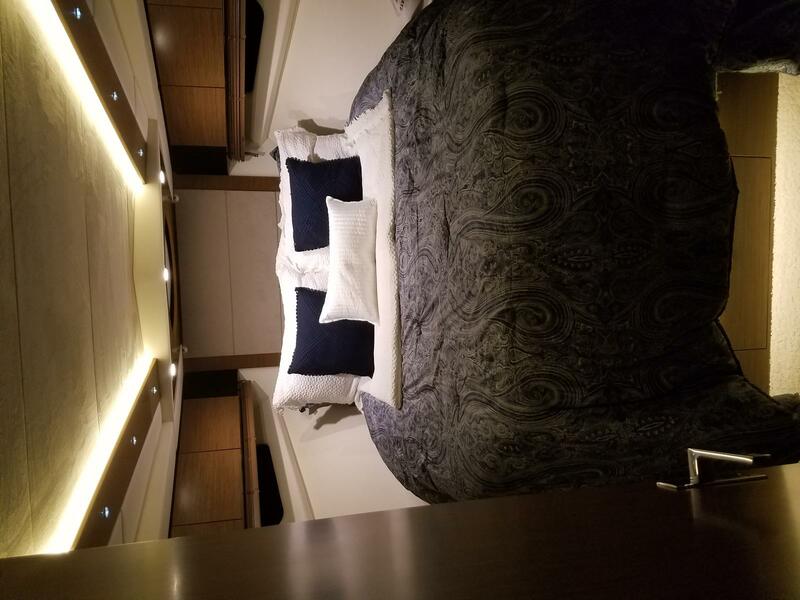 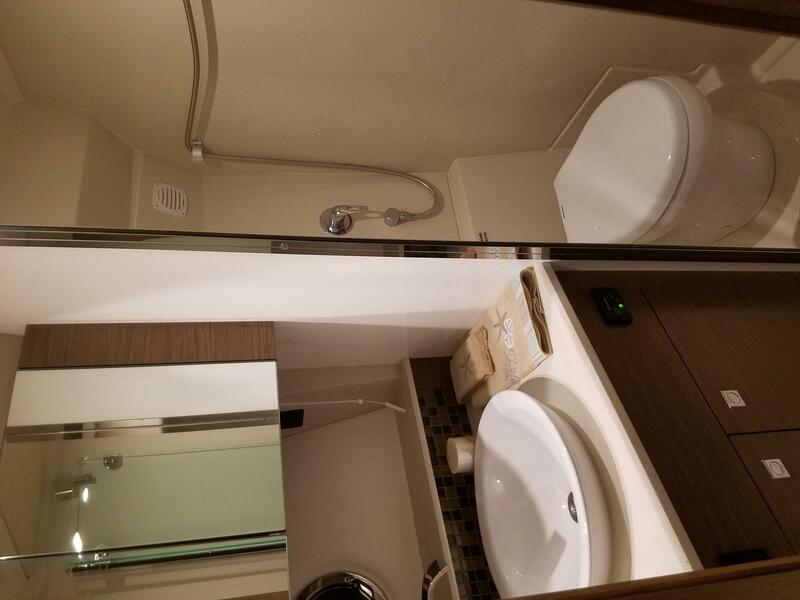 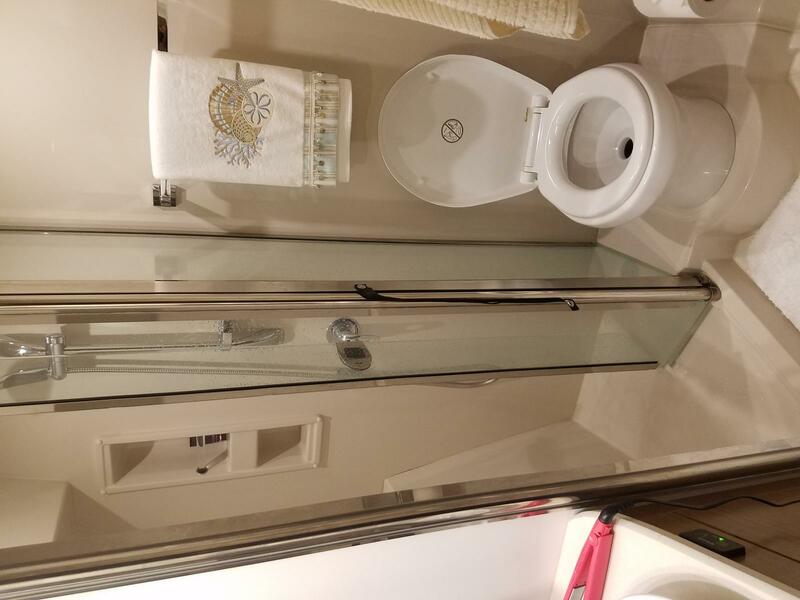 With the smooth integration of lavish indoor spaces and the great outdoors, the remarkable new 45 Cantius offers a seamless flow that feels refreshingly unlike any other on-water lifestyle. 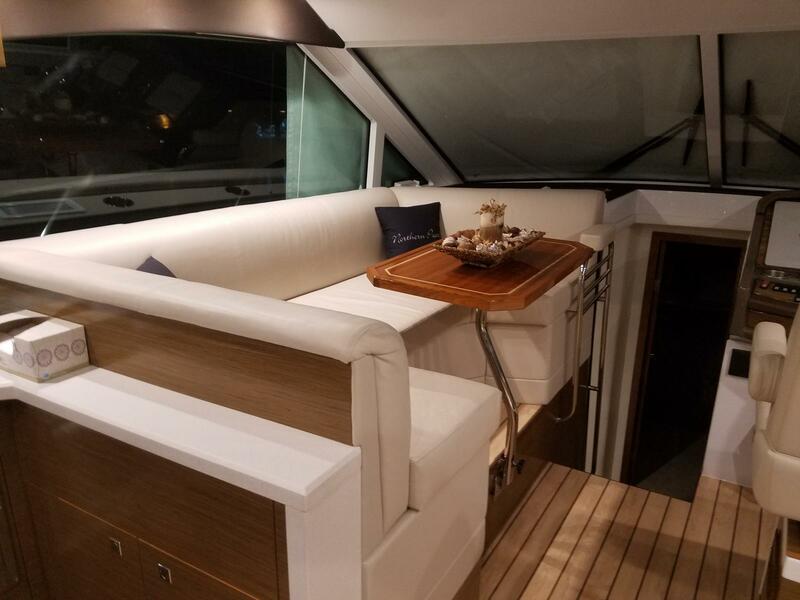 With spacious entertaining areas, a full glass enclosure and unprecedented sightlines, the 45 expands your experience beyond the horizon.